We carefully select only wild, heirloom and organic Criollo Ecuador Cacao, known as Arriba Nacional. 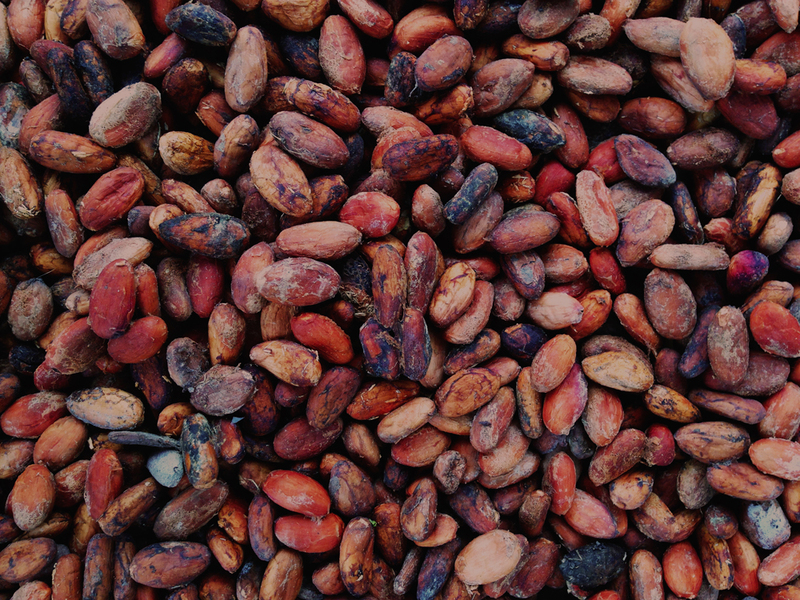 Grown in high elevation volcanic soil, fed only by mountain springs and rain water, this chocolate provides the ancient and complex taste of true heirloom Cacao. By enjoying this chocolate bar, you are supporting communities that practice sustainable, mineral rich farming, above and beyond ‘Fair Trade’ standards. Keeping it REAL. 100% raw and loaded with the world’s most superior foods. What makes our Raw Superfood Chocolates unique? They are loaded with the world’s most nourishing and empowering superfoods. With enough in each bar to FEEL the effect. We only use Ecuadorian Arriba Nacional Cacao, what we consider to be the best Cacao in the world. Heirloom, Raw, Organic, Mineral Rich, and Mycotoxin free. Our chocolates are truly a divine flavor experience. We have five incredible flavors that we have perfected in the taste buds of hundreds of very willing volunteers. There is nothing like these chocolates anywhere in the world! Why Raw Chocolate or Cacao? – Anti-oxidants: Raw chocolate contains more anti-oxidants than any other food, with an ORAC score of approximately 13,000 per 100g, which is more than blueberries, red wine, goji berries and pomegranates COMBINED. Because of the high levels of anti-oxidants, Cacao has been shown to lower blood pressure, improve overall heart function and circulation, and is associated with anti-aging and longevity. – Magnesium: is key for relaxation and healing of the muscles throughout the entire body. Magnesium fights acid buildup, neutralizes toxins, calms sensitivity to pain, quiets nerves, builds strong bones and teeth and is essential for many other functions. Over 80% of Americans are chronically deficient in magnesium. Cacao is said to be the highest magnesium containing food on the planet. – Theobromine and Caffeine: Our 28g bars of chocolate contain 1%-4% the amount of caffeine as a 10oz cup of coffee. Cacao’s minimal caffeine content is often confused with a similar alkaloid, theobromine. Caffeine is a nervous system stimulant, whereas theobromine is a cardiovascular stimulant, increasing heart function and blood flow and has about one quarter the stimulating power of caffeine. Cacao contains about twice as much theobromine than caffeine. – Serotonin: As well as containing serotonin, raw Cacao also boosts the body’s natural production of serotonin, increasing our mood and ability to fend of stress. Magnesium and tryptophan, both necassary chemicals for the production of serotonin, are contained in raw Cacao. Tryptophan is heat-volatile and therefore non-existent in cooked chocolate or a cooked food diet, making raw chocolate an excellent way to obtain dietary tryptophan and maintain sufficient levels of the stress balancing serotonin. – PEA, the love molecule: PEA, or phenylethylamine, is a neurotransmitter produced when we fall in love. It is in high amounts contained in raw Cacao and is one of the main reasons Cacao is associated with Valentine’s day and as a gift for lovers. 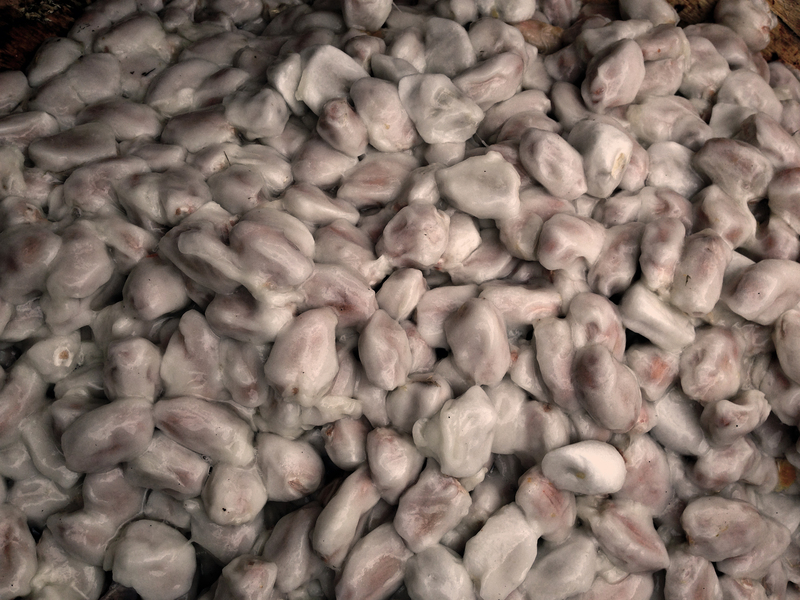 PEA is heat-sensitive and is only present in unroasted, uncooked, raw Cacao. – Anandamide: In Sanskrit, Ananda means ‘bliss’, making this the ‘bliss chemical’. Anandamide is a neorotransmitter that has been isolated in Cacao, and is released naturally in the brain when we are feeling happy. Aside from containing Anandamide, Cacao also contains enzyme inhibitors, which inhibit the breakdown of anandamide in the body, thus increasing its uptake and contributing to sensations of ‘bliss’ associated with raw Cacao. – Chromium: Nearly 80% of Americans are deficient in chromium, an important trace mineral found in Cacao which helps to balance blood sugar. -Zinc: Zinc plays a critical role in the immune system, liver, pancreas, and skin. Additionally, zinc is involved in thousands of enzymatic reactions throughout the human body. Cacao is a great source of zinc, especially for those on a plant based diet. Other great sources include pumpkin seeds and spinach. – MAO inhibitors: As well as containing neurotransmitters, cacao also contains chemicals called MAO-inhibitors that inhibit the recycling and digestion of these very same neurotransmitters in the body’s digestive tract. In short, raw Cacao has neurotransmitters AND the chemicals necessary to ensure these neurotransmitters are absorbed into the body and reach the brain. For those familiar with Ayahuasca, a sacred shamanic hallucinogenic brew, it is made by brewing a plant containing the neurotransmitter DMT (the psychoactive), with a plant containing MAO-inhibitors, which allows the DMT to be absorbed and the effects to be felt. 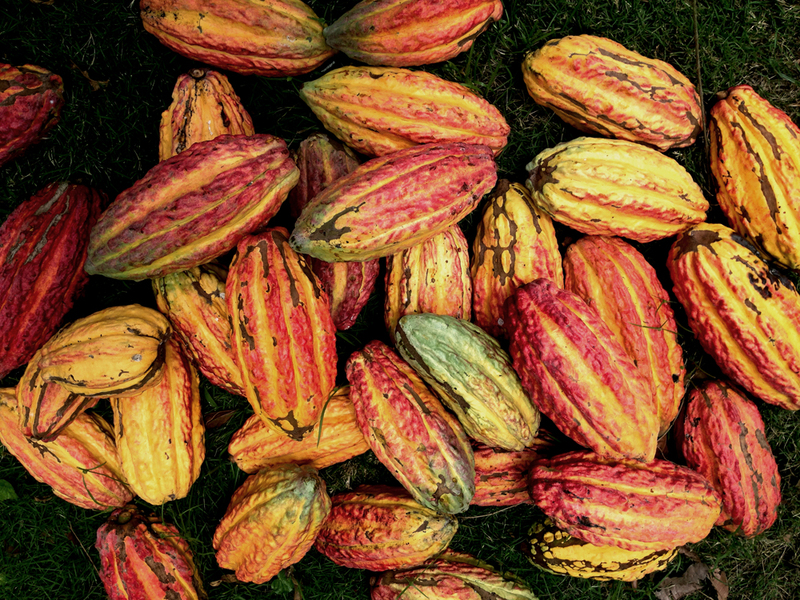 Cacao, unlike this famous brew, is unique in nature as it has the full package of both neuro-transmitters as well as MAO-inhibitors. Though it’s effects aren’t as significant as Ayahuasca, this interesting combination of MAO inhibitors to neurotransmitters points towards some of the mystery and magic that this plant has been imbued with over centuries of ancient shamanic tradition. Is Raw Cacao bad for the adrenals or kidneys? Our chocolate is free from mycotoxins, fungus, molds, and yeast– all very unpleasant forms of bacteria that are often present in low quality chocolate. These bacteria can cause a negative adrenal response and contribute to caffeine-like jittery sensations. We test every batch to ensure a clean and safe Cacao. For those who suffer from compromised adrenals or adrenal fatigue from too many stimulants, it is important for that person to find a balance that is suitable for them. Cacao has been called a stimulant, but unlike other modern day stimulants such as standard coffee, processed sugar, or alcohol, it can be a part of a balanced diet that supports the modern day superhero. As the world’s favorite food, called by Mayans as the ‘food of the gods’, and considered to be nature’s most potent aphrodisiac, Cacao should be consumed and respected as such! The Powder Room: Superfoods | Wellness is . . .
Hi there are you guys out of Vancouver? We are indeed founded and based out of Vancouver, though our products currently ship out of Acton, Ontario for logistical purposes.